These middle/junior high school activities require students to find and graph factors such as wind chill and relative humidity for up to a month, drawing from datasets available on the Internet or from local sources. 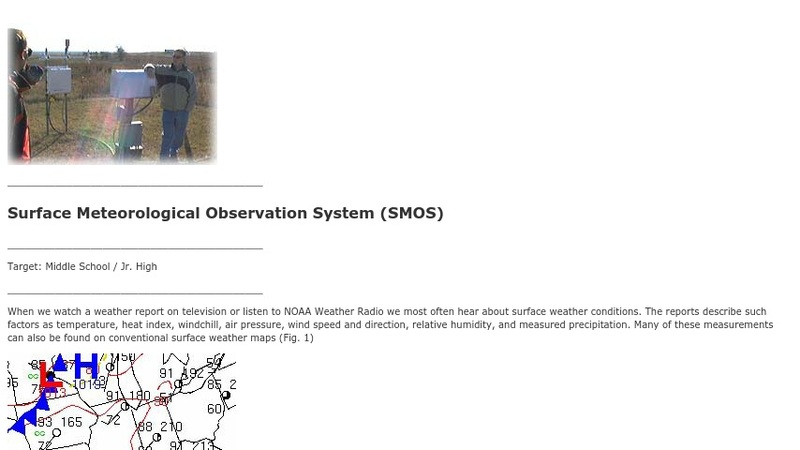 Students then hypothesize relationships between pairs of factors, and test their ideas using data from a site in Oklahoma with a Surface Meteorological Observation System (SMOS). The activities are part of the Atmospheric Visualization Collection (AVC), which focuses on data from the Atmospheric Radiation Measurement (ARM) program's Southern Great Plains (SGP) Cloud and Radiation Testbed site.